cial assistance treaty, regional multilateral treaties and soften the principle of reciprocity. tion, but did in different scope and way. 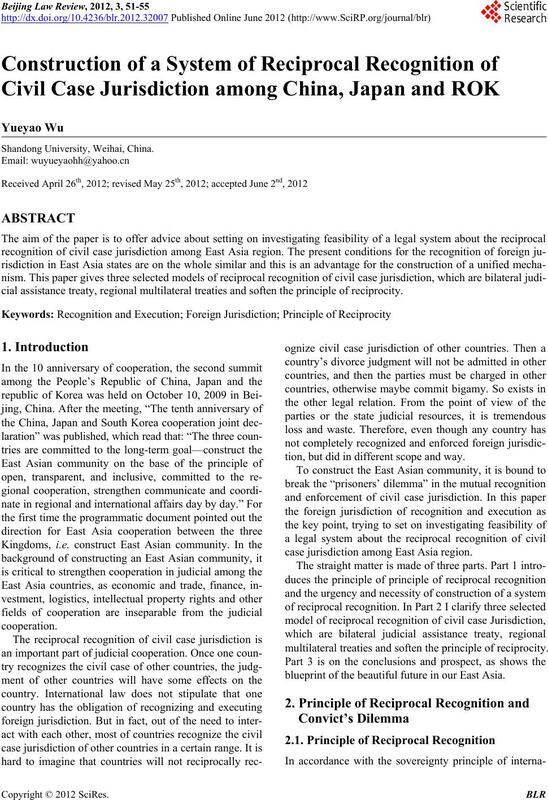 case jurisdiction among East Asia region. multilateral treaties and soften the prin ciple of reciprocity. blueprint of the beautiful future in our East Asia. 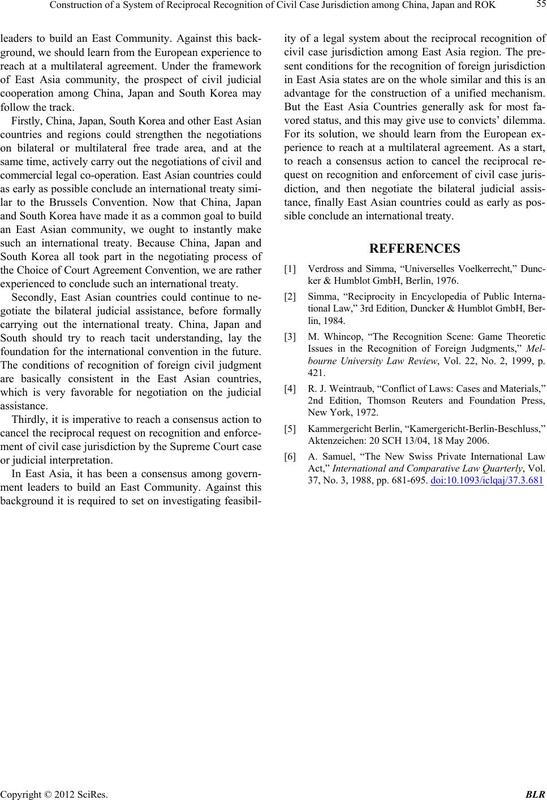 international law of South Korea . 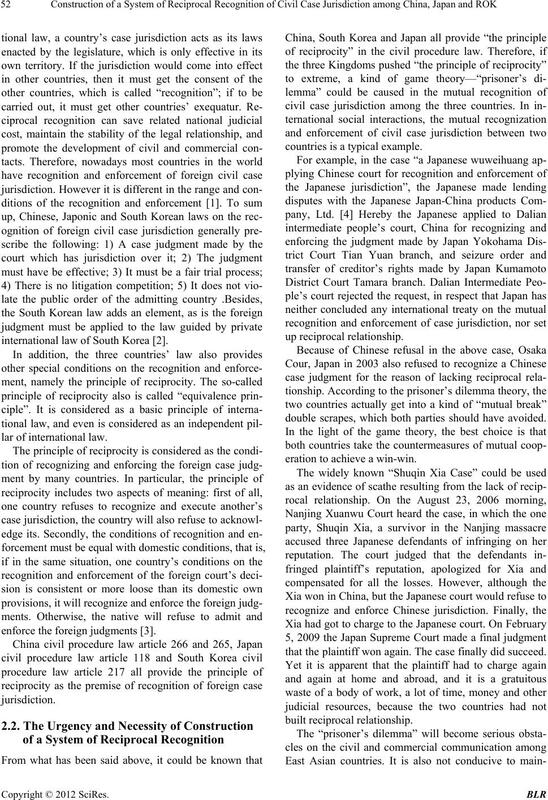 enforce the foreign judgments . countries is a typical example. double scrapes, which both parties should have avoided. eration to achieve a win-win. that the plaintiff won again. The case finally did succeed. People’s Republic of China and South Korea” in 2003.
costs a lot of time and money. So few party will do. cial assistance treaty with South Korea and Mongolia. Convention” and the Hague Conven tion . sels Convention”. Then Eu ropean Union was established. 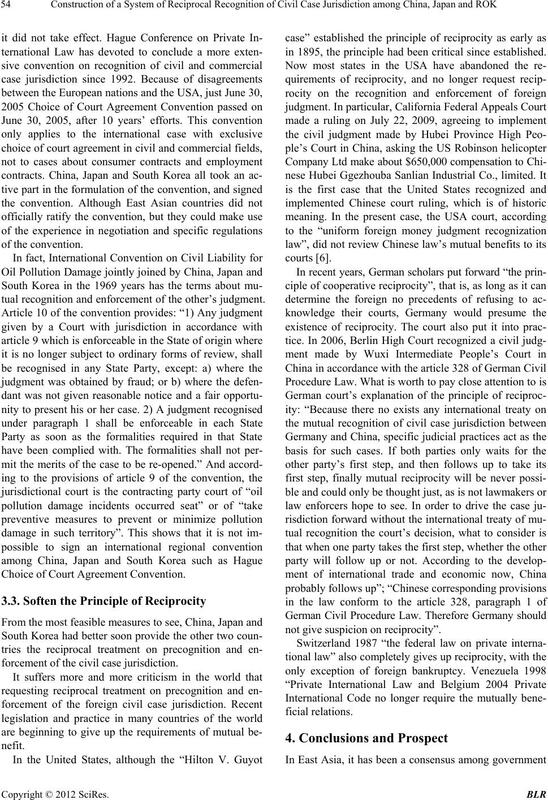 of the civil case judgment system in European countries. on March 1, 20 02.
tual recognition and enforcement of the other’s judgment. Choice of Court Agreement Convention. forcement of the civil case jurisdiction. in 1895, the principle had been critical since established. not give s uspicion on re ci procity”. experienced to conclude such an international treaty. foundation for the international convention in the future. advantage for the construction of a unified mechanism. vored status, and this may give use to convicts’ dilemma. sible conclude an international treaty. ker & Humblot GmbH, Berlin, 1976.
bourne University Law Review, Vol. 22, No. 2, 1999, p.
Aktenzeichen: 20 SCH 13/04, 18 May 2006. 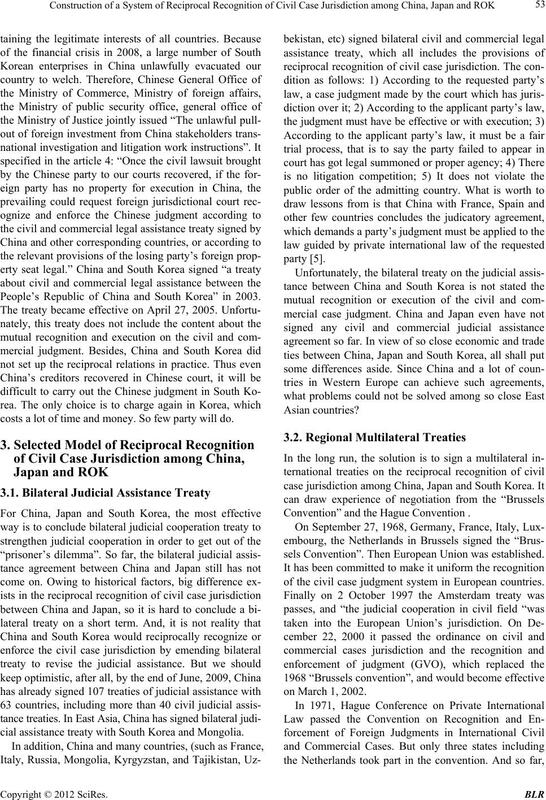 Act,” International and Comparative Law Quarterly, Vol.